Usually when you hear the words "fluency" or "fluent," your first thought is to think of someone who is learning a foreign language, not someone who is learning how to read. Reading fluency isn't all that different from being fluent in a foreign language. Both rely on knowing the language well enough to comprehend and communicate without difficulty. In the case of reading fluency it's written language. For the most part reading fluency can be defined as the ability to read text easily, quickly and expressively without making much effort and with little difficulty comprehending the meaning of the text. When evaluating a child's overall reading fluency, there are two different types of fluency that are being looked at: oral reading fluency and silent reading fluency. Much as it sounds, oral reading fluency refers to how fluently a child can read out loud. This type of fluency is less about how well a child understands and remembers what he is reading and much more about how he decodes the text. 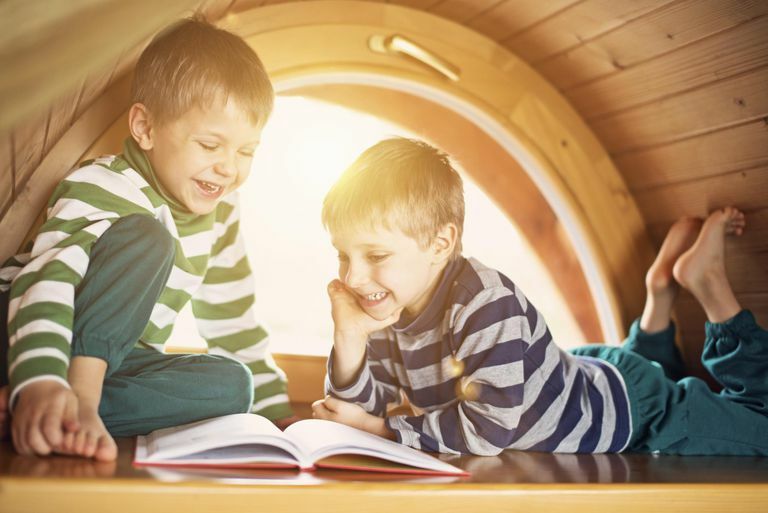 If your child is a fluent oral reader, he should be able to read a given section of text without stumbling or hesitating, use proper intonation and expression (known as prosody) and pronounce most of the words correctly. Silent reading fluency is a bit more complicated than oral reading fluency. While, again, a fluent silent reader should be able to read what is in front of him without hesitation, he should also be able to read it more than just word by word. The reader is expected to be able to read without mouthing or saying the words out loud, while visually taking in and comprehending more than one word at a time. Many children who are thought to be fluent readers aren't as fluent as they seem when it comes to silent reading because, although they are reading the text at a good pace and mechanically without trouble, they aren't gaining comprehension of what they are reading. This is often demonstrated by the child who reads a book with ease but is unable to tell you what the story was about or answer questions about it. But Why Is It Really Important? The simplest reason reading fluency is important is because without fluency, reading is not enjoyable. Fluent readers will pick up a book and read on their own, even when it's not assigned for class. More importantly, however, is that fluent reading lead to more success with writing, better vocabulary skills and a greater understanding of what is being read.